Want to try out some new Polyester Strings that almost all the top 10 pros have used? Typically $14-$16 per string and rarely go on sale. Expires 4/30. 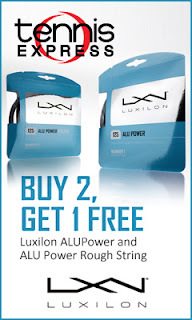 *ALU Power Rough is what Roger Federer uses on his Wilson rackets.